Let me take a deep inhale as I begin to list off all the upgrades in this home.. okay, here we go! Fresh paint throughout, new LVP flooring throughout main level, new sod/landscaping in back patio, extended paver stone patio, new granite counter tops, new white painted cabinets, stainless appliances, all new carpet (except top 2 bedrooms, which were never really lived in). Home has been deep cleaned, professionally staged, visible repairs made, and just sparkles so fresh and so clean for it's new owner! Ready for the rest of the details? 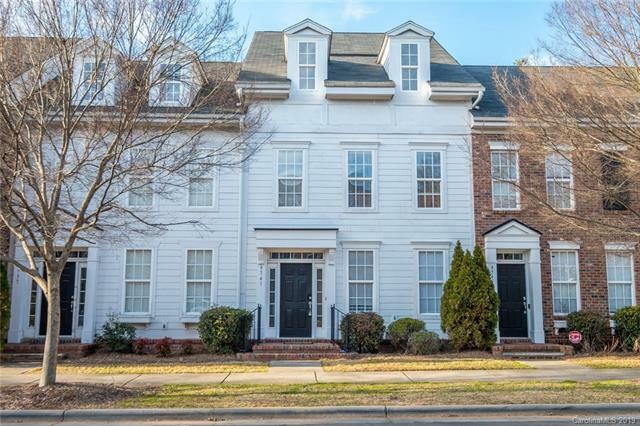 Basic cable/internet covered by HOA, literally walkable to AK high school, to tons of shopping and dining, to Elon Park etc.. more storage than you could fill..with large closets and walk in attic space, a TWO CAR GARAGE.. The biggest floor plan available with 3 bedrooms, 3 FULL bathrooms, and a half bath on main. AWESOME FLEX SPACE off master, perfect office/bonus room.. Okay, I'm running out of breath! Come see for yourself, you'll be glad you did!